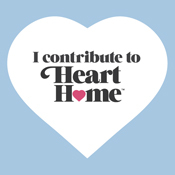 Recently I had the pleasure to work with the (fairly) new online magazine Heart Home. Their efforts are commendable, pulling together a first rate magazine which had already reached over 100,000 unique users by their second issue. Well thought through features, relevant house stories and beautifully styled style shoot inspiration all managed by a team of 3 editors who, incidentally, all contribute to other work, blogs, interior design - you name it, they do it. 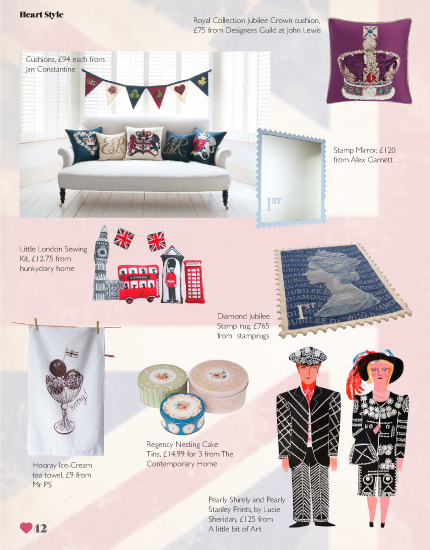 I contributed to the Spring Issue with a Jubilee Shopping Feature. 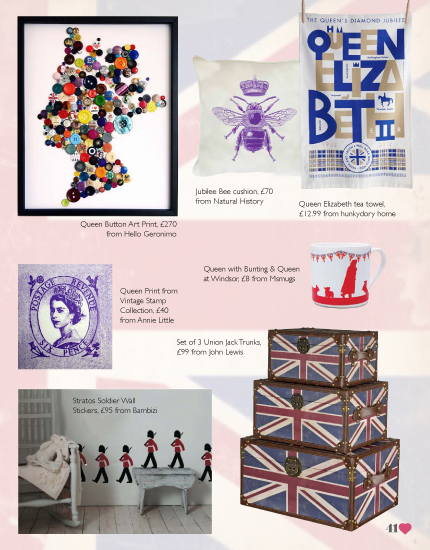 After seeing a raft of Jubilee inspired products at the HOME interiors show at Earls Court in January I knew there would be a lot to pick from. See my edits below. 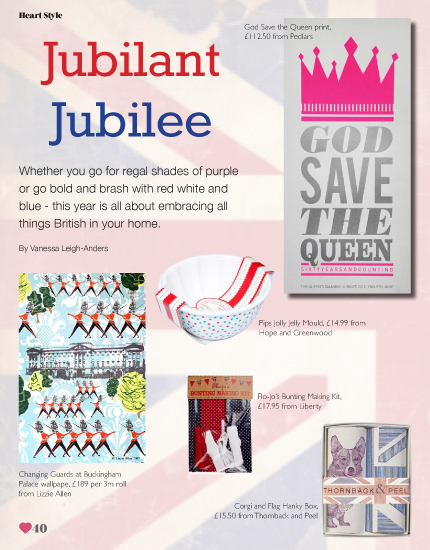 At the time of going to print (well, online publication) some anticipated products were not yet launched, and we are seeing new 2012 Jubilee inspired products launched every week, including Lizzie Allen’s ‘Lizzie’ range for Habitat and am still waiting to see what design duo mini moderns will come up with. Check back in to Heart Home Summer issue, due out on June 18th, to see the Stylist’s Guide to Camping I am currently working on. 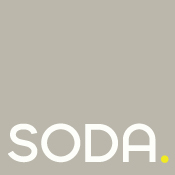 I am an Interiors Picture Editor and have recently started interiors brand SODA. I live in South London with my family and live, sleep and breath interiors. Sodablog is for things that inspire me that will hopefully inspire you too.